Our 4 bedroom ocean front house is a choice location with excellent view of the beach and ocean from the dining area, deck, and upstairs master bedroom. Five, and Six bedroom houses also available. The first 7 pictures are of Lot 906, our four bedroom oceanfront. The last 9 pictures are 3 each of our other houses. If this stay vacation home is booked for your week, please contact us in case another stay house is open. Our buildings are fully furnished with everything you need except beach towels, hand and bath soap, and paper products. We include filtered drinking water, ice maker, bed linen, and bath towels. We even include departure cleaning service with whole week stays so you can vacation longer. We also have a central website that has a link to each of our websites to see all of our houses. The resort contains an Olympic-size outdoor pool, a new kiddee waterpark, tanning decks, and a heated indoor pool. You\'ll find snack shops, a huge oceanfront observation deck, a grocery/gift store, three playgrounds, a marine life nature center, eight freshwater lakes, a 17,000 sq. ft. recreation center, an arcade with 80 games, miniature golf, basketball courts, horseshoes, shuffleboard, golf cart, paddle boat, and bicycle rentals, and one mile of the resort\'s privately owned beach. Come stay with us!!! 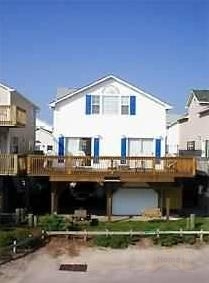 This 4 Bedroom house is available for rent in which Sleeps upto 12 in Myrtle Beach Vacation Rentals in $150/Night* NOW!!! ADD 12% Tax & $300 Refundable Security Deposit. (Holiday weeks have extra charge).